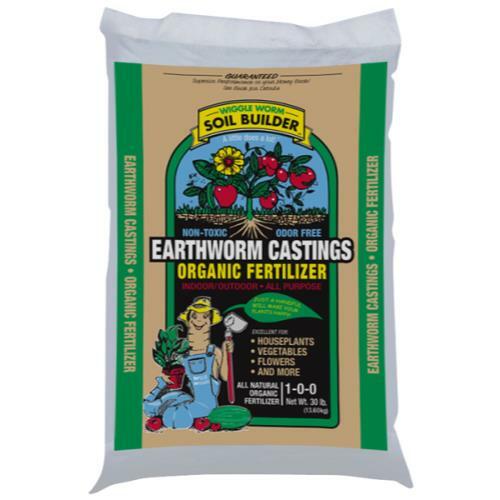 Wiggle Worm Soil Builder™ Earthworm Castings Organic Fertilizer is an all purpose natural fertilizer that comes to you straight from nature with no alterations whatsoever. Our nightcrawlers are fed a very rich peat humus which contains a wide variety of minerals and trace elements. 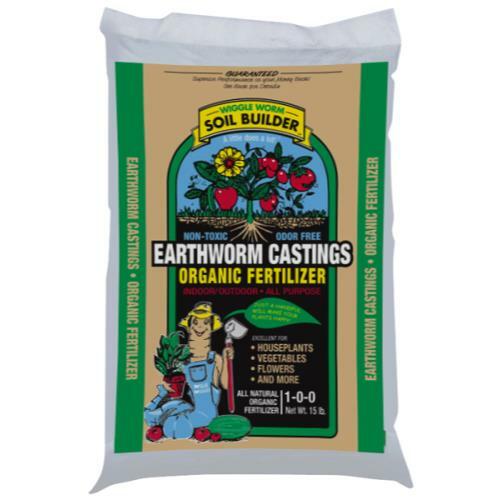 The earthworms digest this material and in its passage through the worm, it is beneficially altered both chemically and physically. The end product is super humus which is extremely fertile top soil properly conditioned for best root growth, containing in rich proportion and water soluble form, all the elements required for optimum plant nutrition. Some sizes may not be stocked in all locations.